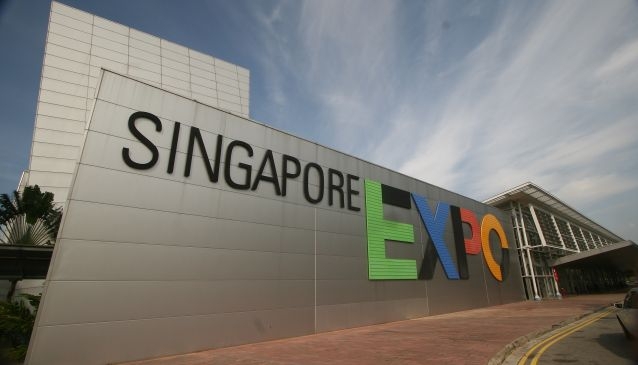 Singapore Expo has six million visitors annually and over 600 events held, ranging from exhibitions, corporate meetings, conventions, award ceremonies, to gala banquets and consumer shows. Its indoor and outdoor space covers over 123,000 square meter, comprising exhibition and conference halls, meeting rooms, mobile V-Rooms, the Max Atria and the Max Pavillion. Max Atria, is a new convention wing to Singapore Expo, inspired by nature and Earth's natural element with the concept 'nature inside' and 'meetings outside'. This is the first MICE venue in Singapore to receive the prestigious Building and Construction Authority Green Mark Platinum Award. Providing well-appointed rooms, complemented by lush landscaping, architecture and interiors, give the pleasurable sense of having a meeting outdoors. All the rooms, equipped with modern AV lightning and technical capabilities to cater for a diverse range of events - from conferences, meetings and product launches, to banquets, weddings and cocktail receptions.